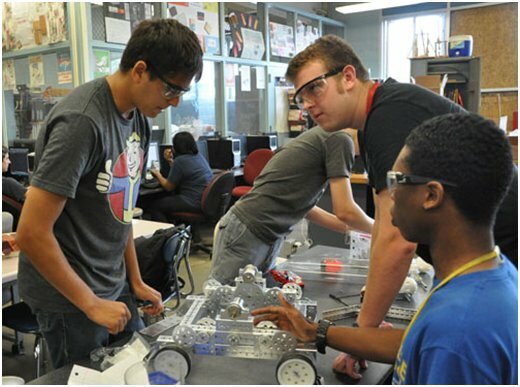 The Warren Tech Engineering & Architecture Career Program provides students with the skills needed to pursue a post-secondary education in Engineering, Design, Manufacturing and/or Architecture. The use of two dimensional and three dimensional Computer Aided Drafting and Design (CADD) software (AutoCAD, Inventor and Revit) is an essential tool applied within this program. The program provides architecture practices involved in the design and layout of residential floor plans, elevations and site plans according to the National CAD Standard (NCS). 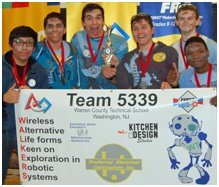 The program offers engineering experiences in FIRST Tech Challenge (FTC) in which students design, build, program, and operate robots. Students call it “the hardest fun you’ll ever have!” Students develop STEM skills and practice engineering principles while realizing the value of hard work, innovation, raise funds, design and market their team brand, and do community outreach for which they can win awards. 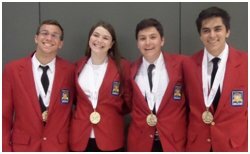 Students in the Engineering & Architecture Program will have the opportunity to compete in local, state and national SkillsUSA competitions in which students demonstrate occupational and leadership skills. Students can compete in Technical Drafting, Architectural Drafting, Engineering Technology /Design and Robotics and Automation Technology. Students enrolled are introduced to safe operation of various manufacturing tools and equipment (drill press, milling machine, lathe and rapid prototype machine). Why Choose Engineering / Architecture? 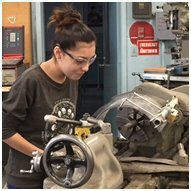 Students in the Engineering Program will have the opportunity to obtain college credit (MET 103 and MET 105) through New Jersey Institute of Technology (NJIT). Make a big salary. Engineers/Architects not only earn lots of respect, but they’re highly paid. Even the starting salary for an entry-level job is impressive! All this takes engineering/architecture. In very real and concrete ways, engineers and architects save lives, prevent disease, reduce poverty, and protect our planet.